I hope everyone has had a great week! I know there were issues with posting photos earlier in the week so nit sure if that is fixed yet or not. Hopefully everyone can post what they have been up to. 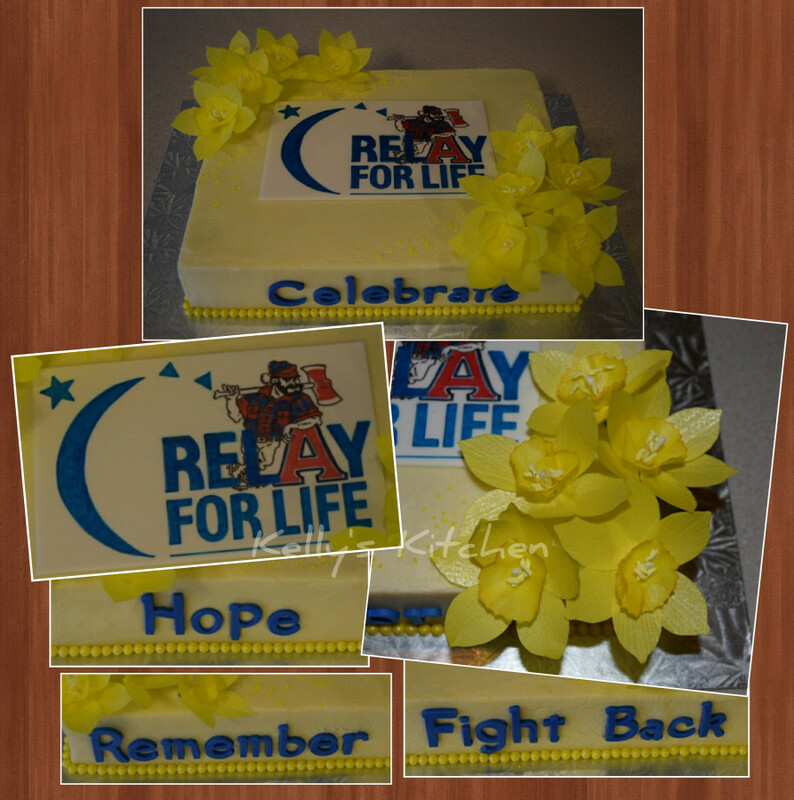 Myself, I had one floral birthday cake for today and a Relay for Life cake for tomorrow. I'll try posting images later. Laetia- your flowers are beautiful! 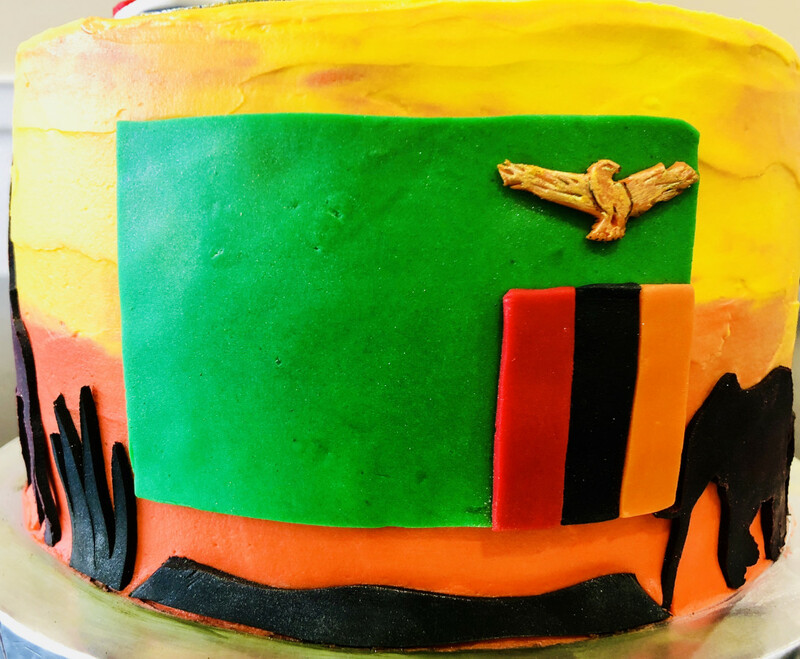 This week my order was for a young guy going to Zambia with the Peace Corps. 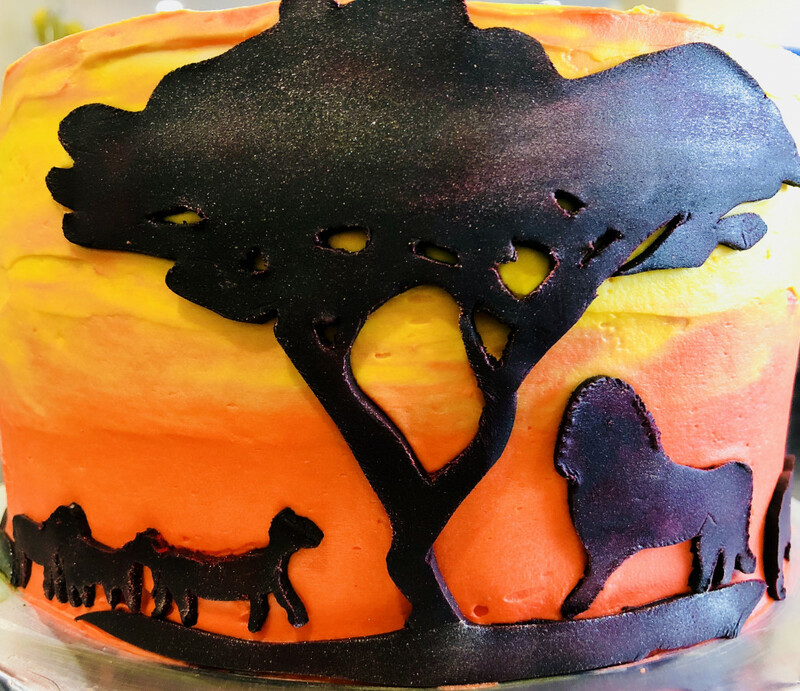 It’s a carrot cake with cream cheese frosting, although The colored sunset icing is buttercream since I had to put fondant on it. 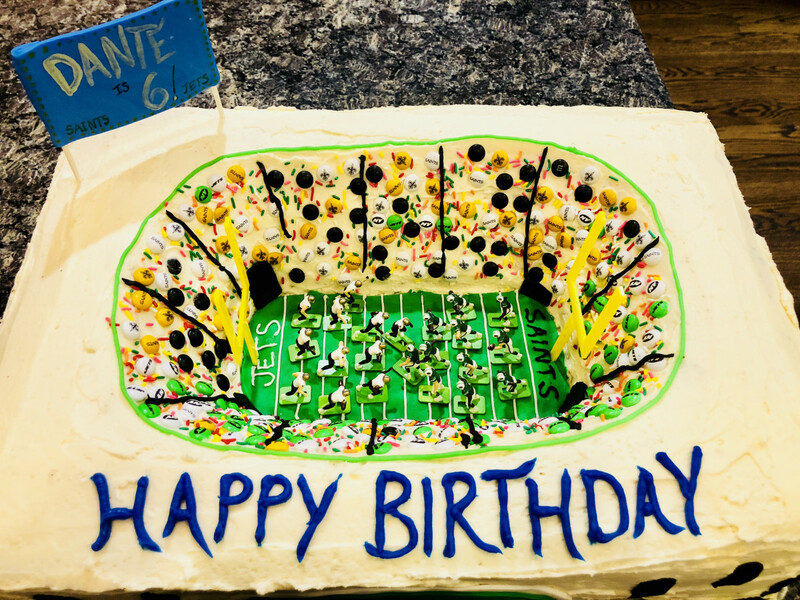 So - delivered that last night and THEN...came home to try and make a football stadium cake for my sons birthday in less than 5 hours. 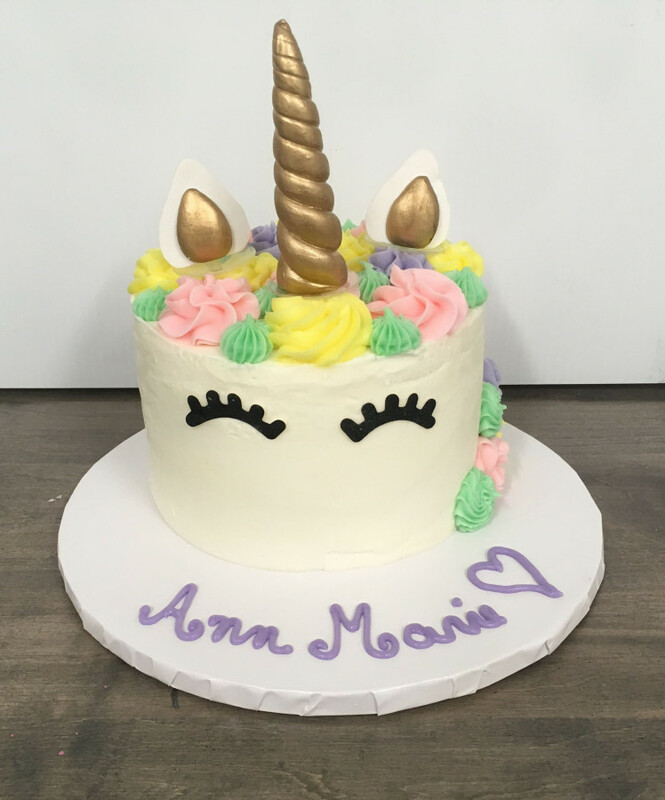 It by no means looks professional, but I’m sure like many of you, I let my kids choose whatever cake they want and try my best to get it done no matter what my schedule is. So please excuse its lack of professionalism...but i must say my soon-to-be six-year-old is thrilled :). 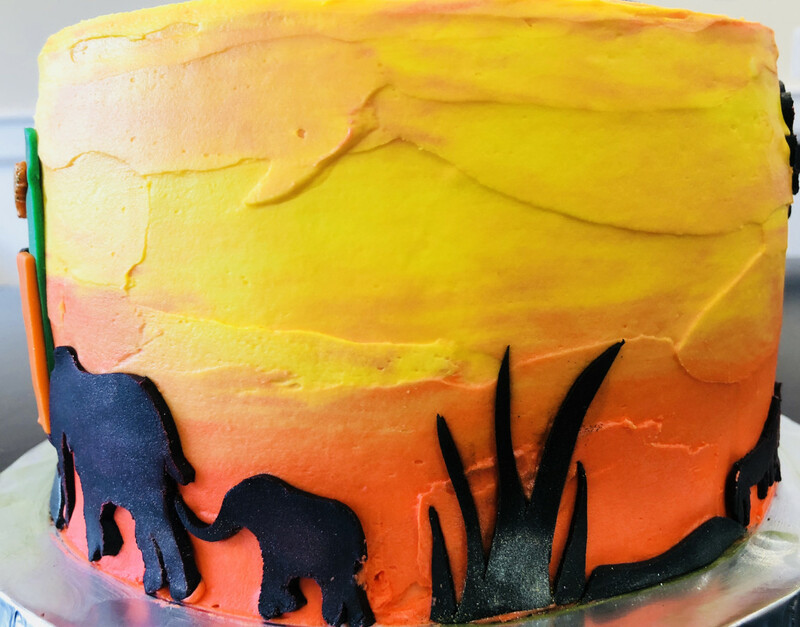 Love the buttercream sunset. 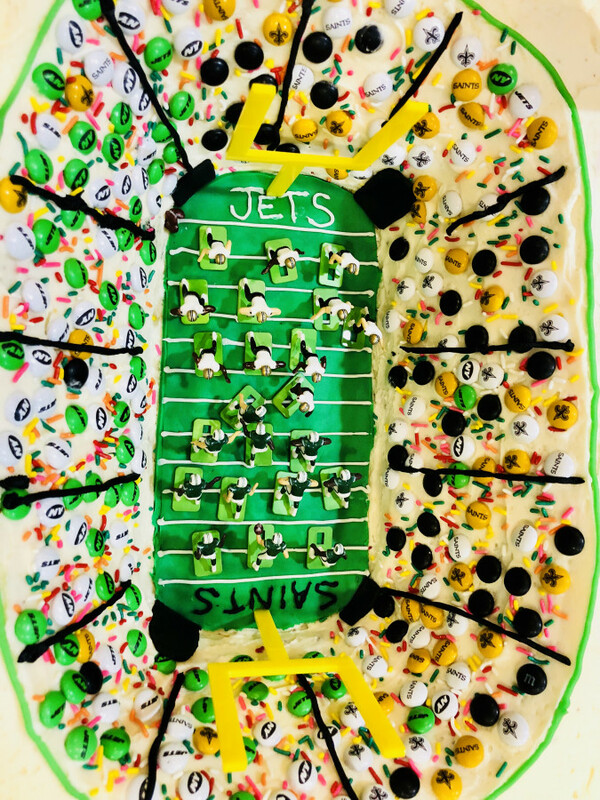 I’m sure your son will love his stadium cake. I made a dinosaur cake and 2 candy covered cakes for children of my friends this week. Really happy with how they turned out. @louglou - those candy cakes look like a kid’s dream come true!!! And- those dinosaurs are incredible. I love the detailed coloring. 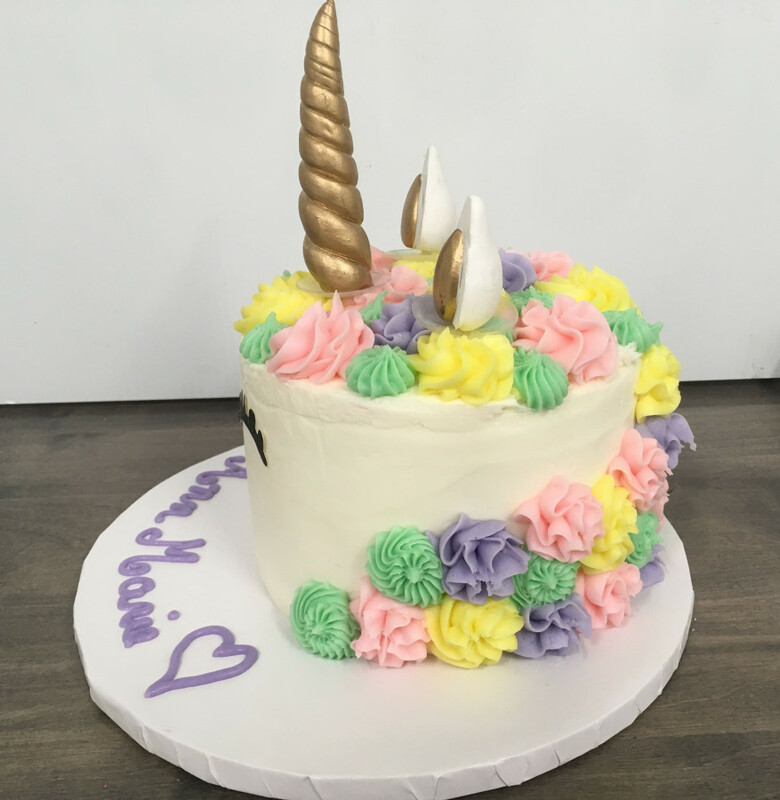 @MerMadeBakedGoods your sunset buttercream looks so good, I love it! 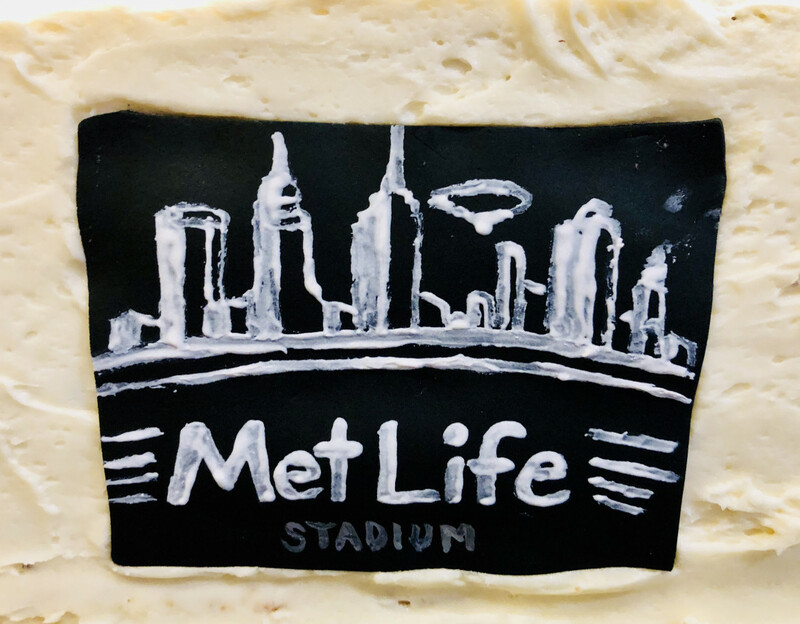 And your stadium, made in such a time crunch, turned out great. Say happy birthday to your son. @louglou I love the dino cake, I might do something similar for my nephew in a few weeks. 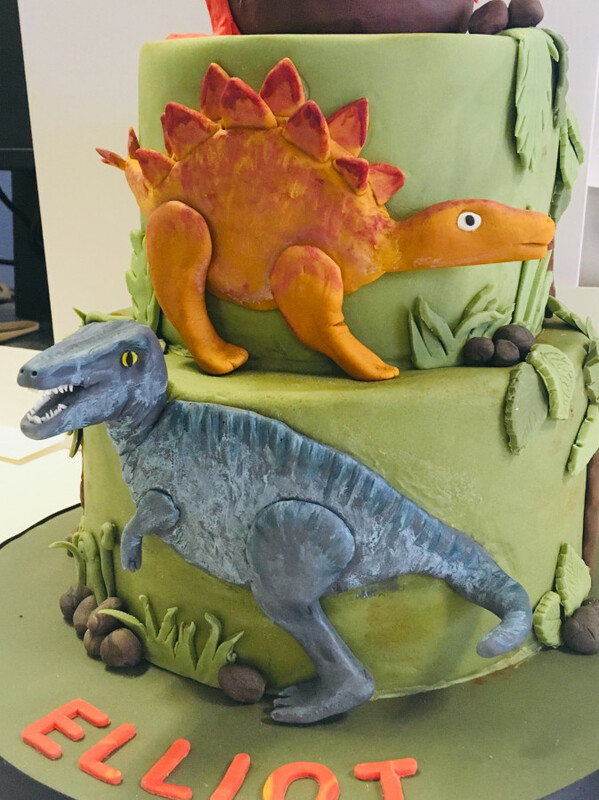 Are the dino made of all fondant or is there a rice krispies base underneat? Happy to see posting pictures is once again an option. @Laetia your flowers are really pretty and I love your shade of purple! 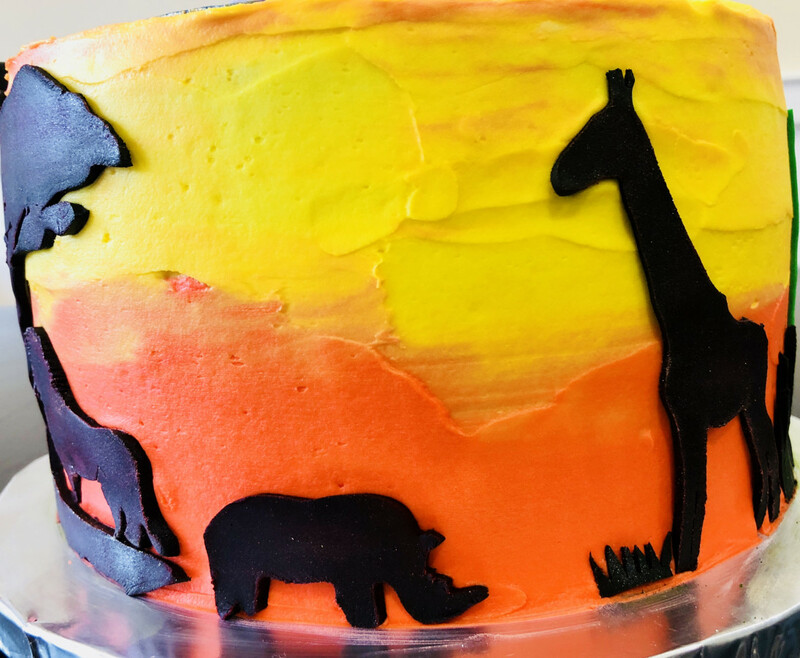 @MerMadeBakedGoods your buttercream sunset looks great and I'm sure your son is going to love his cake! @louglou I really like how you did the dinosaurs and the candy cakes are fun! 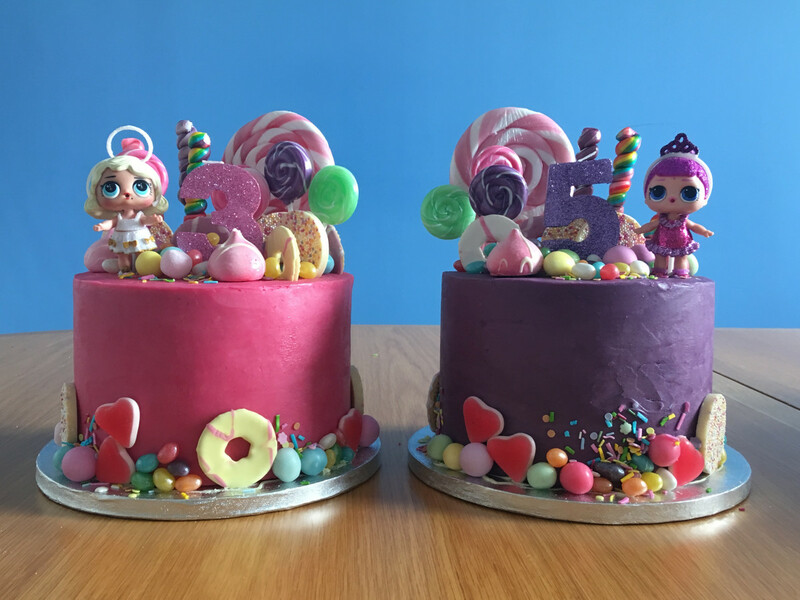 I usually fixate on the flaws in my cakes but I was quite happy with the two I made this week. Pics to follow. @kstevens your birthday cake is gorgeous and your daffodils came out looking realy good too! 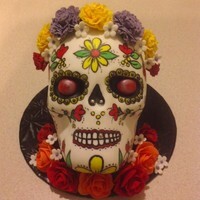 @thecanadian160 your cake is so very pretty! I love the colors. 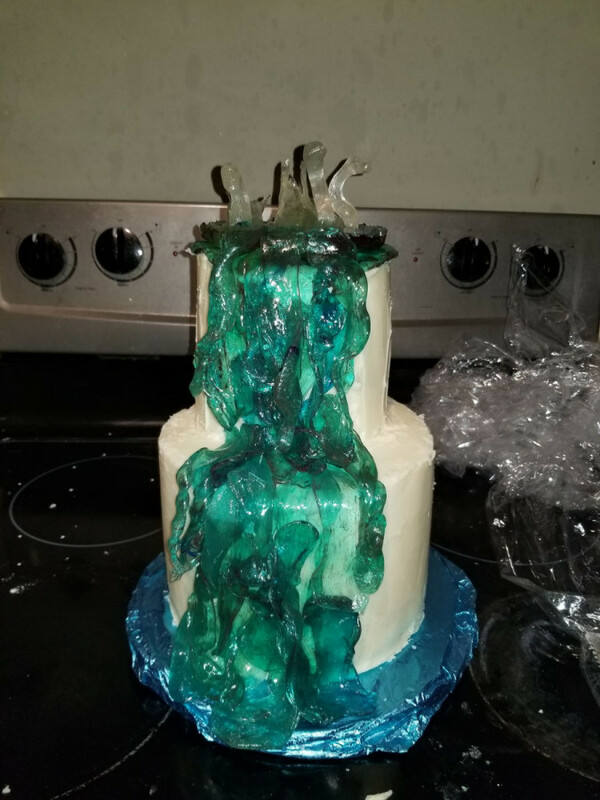 Your comment about the sideway cakes (pics) made me laugh. 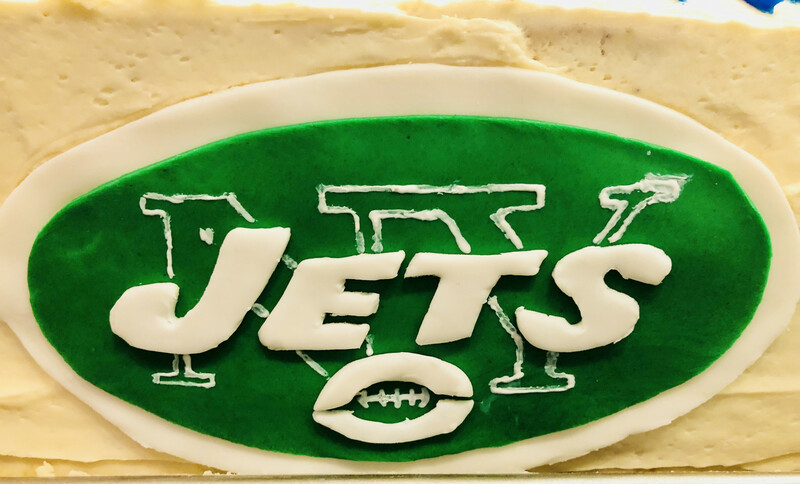 My first thought was "what a talent for gravity defiying cake!" @Laetia all of my flowers were from wafer paper except for the little filler flowers on the birthday cake, they were gumpaste. It took me a couple of attempts to get the daffodil trumpets so I was happy with them but now I have it figured out and made notes so I don't forget. 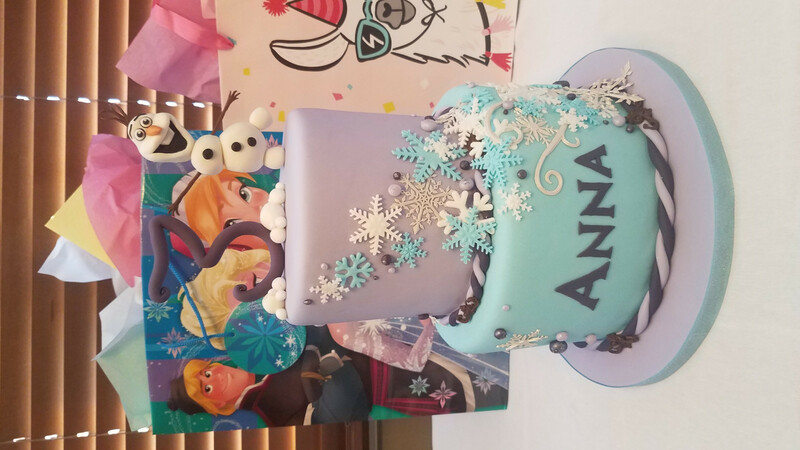 Canadian - That Olaf cake is so beautiful!!!!!! I love Olaf! 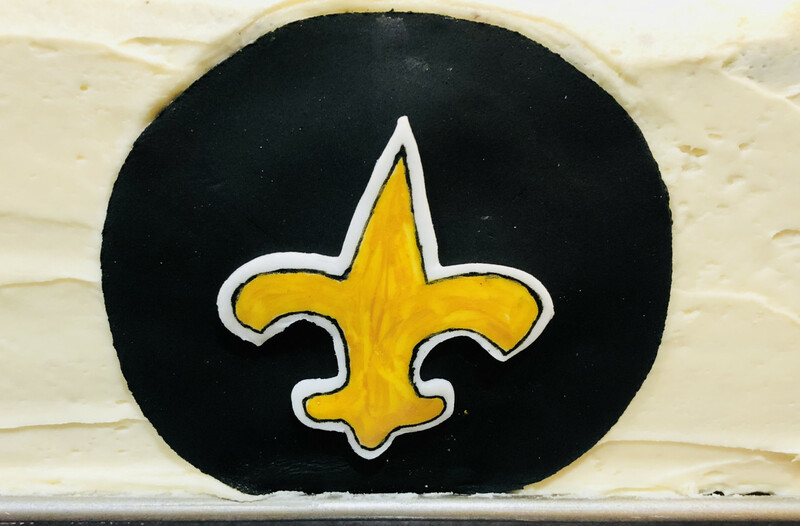 I’m not proficient with fondant. 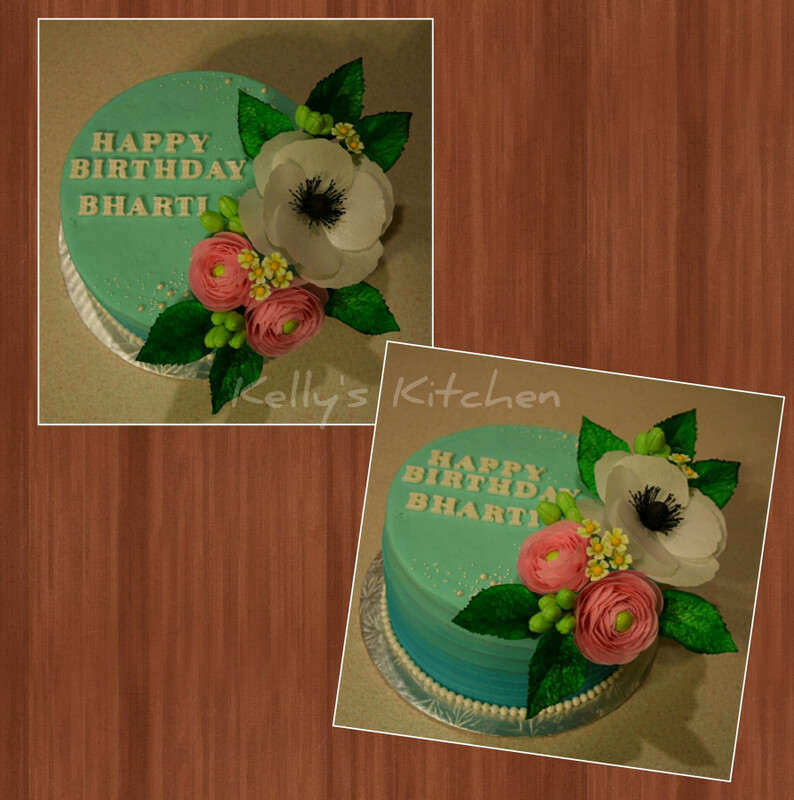 Though me preferred medium is buttercream I’d still like to learn how to do it properly. 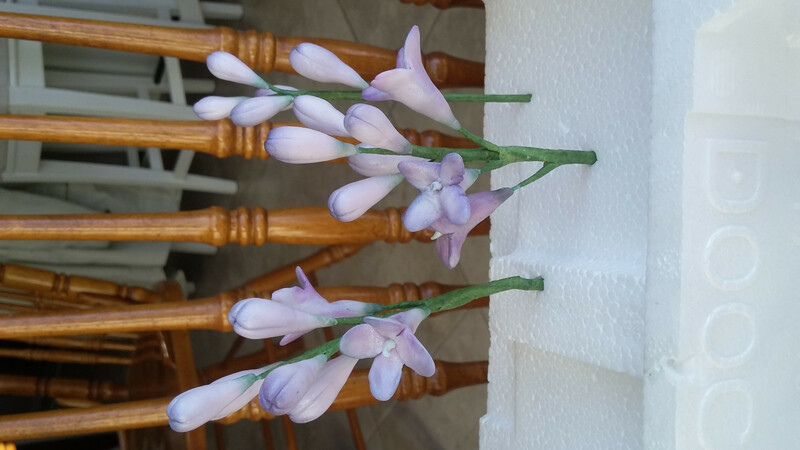 Laetia, your flowers are so delicate and lovely! Do you always prefer water flowers? I’ve not yet tried that medium. Mermaid, that is an amazing sunset cake! Reminds me of the Lion King! Louglou, how did you make the dinosaurs?! 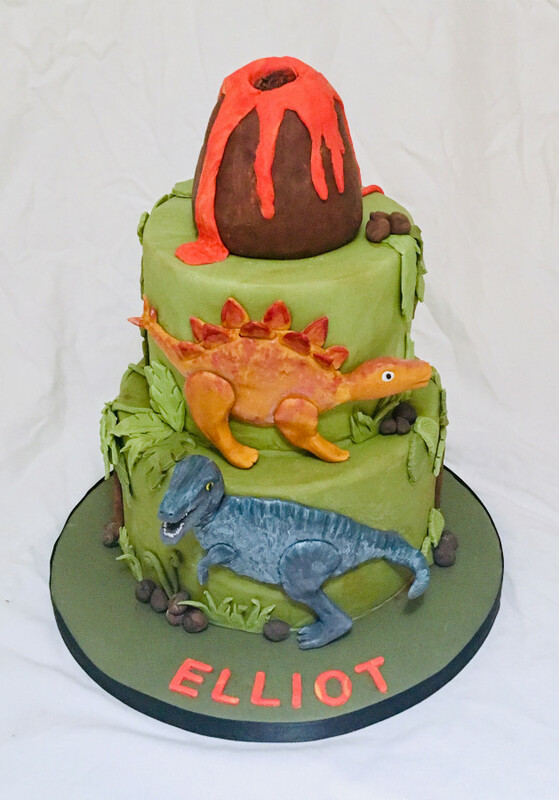 @Laetia @KatyN The dinosaurs are just made from fondant. 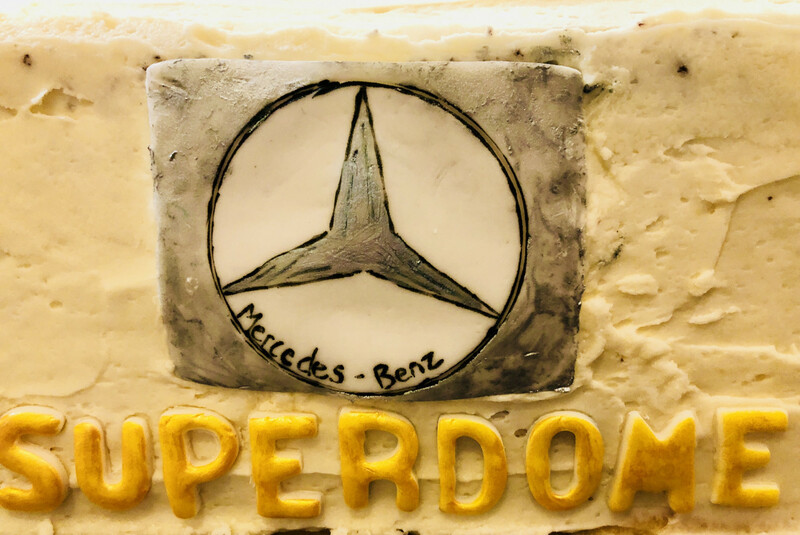 I did the head, legs and bodies separately and had to remake the bodies and legs as my first ones were far too heavy and pulled the fondant off the cake. (That was a looooong night). @kakeladi just realized it was you and not Laetia that asked if my flowers were wafer paper. 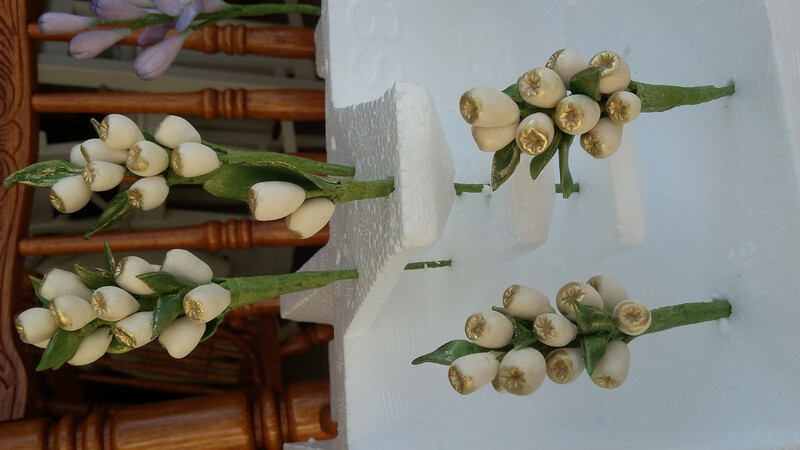 Yes, they were except for the filler flowers which were gumpaste. Anywho, I love these posts! I always get inspired! Cakes from work! Unicorn and flamingo. 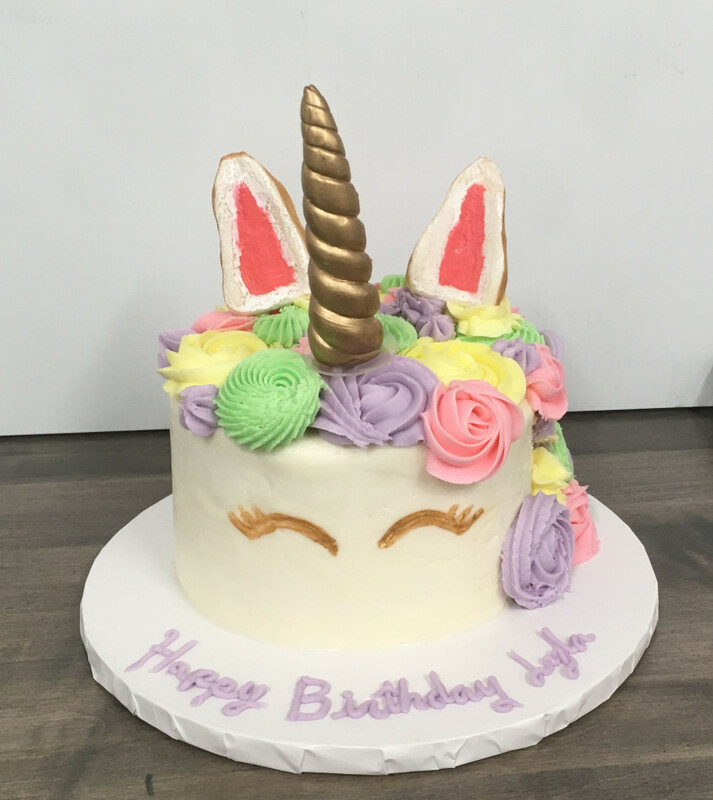 I also was able to make a pair of ears for the second unicorn cake, my first time making something with modeling chocolate! Didn’t decorate that one though. 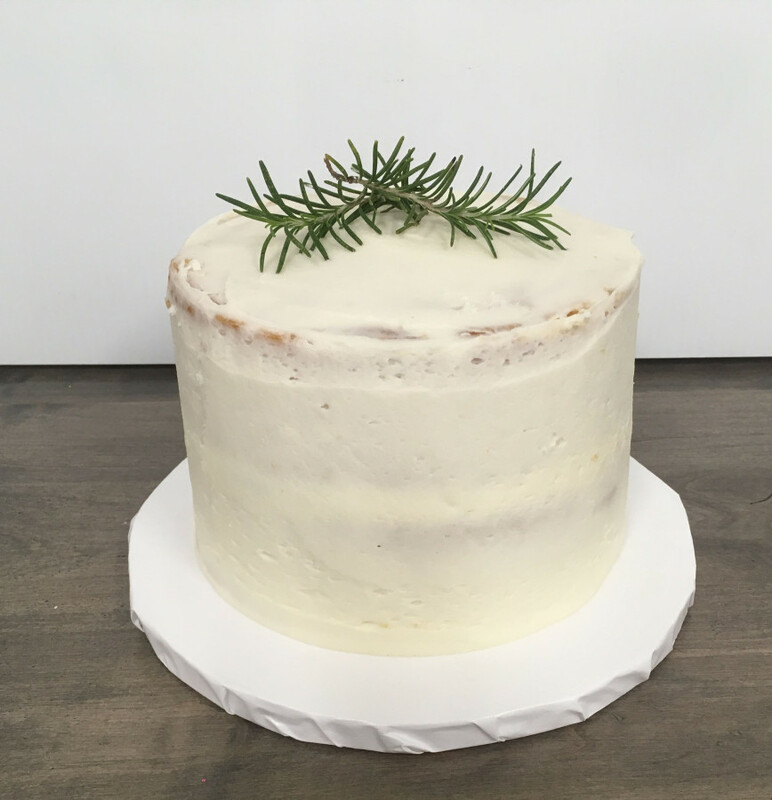 The naked cake has a rosemary buttercream. That has been a huge order lately. It’s pretty gross. Anyone encountered that trend lately? Thanks everyone for the nice comment on my flowers. 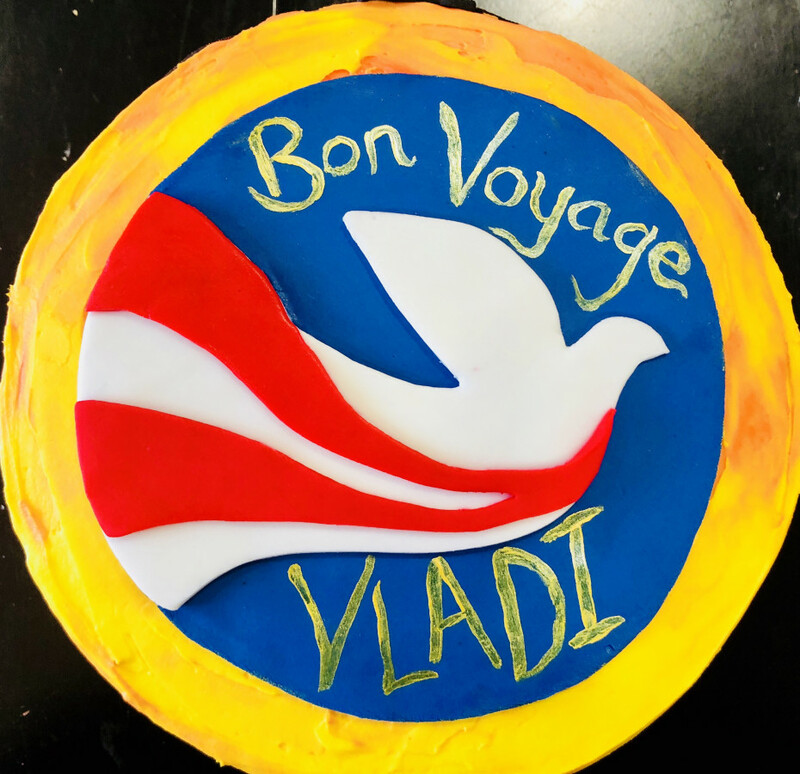 I cant wait to make the other ones and put this cake togeter! @angesradieux nicely done for a first 2 tiers. I never made pulled sugar, it looks so hard! @KatyN I'm not sure I understand your question correctly. English is not my native language and I sometimes struggle a little! By water flowers, did you mean some aquatic flowers, or waffer (paper) flowers or is it just the name of a technique I do not know about? 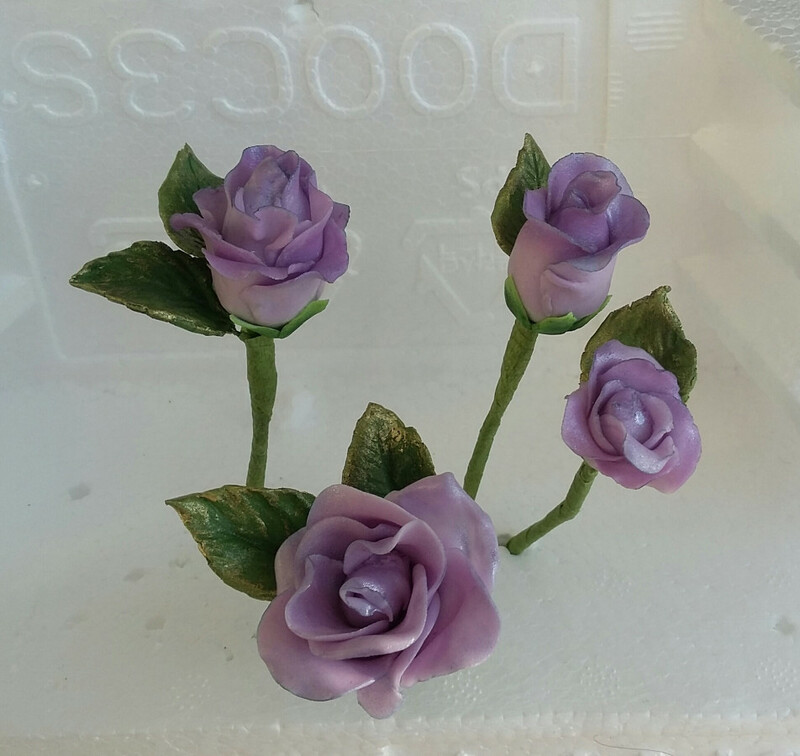 Actually, those are my first fondant/gumpaste flowers beside the roses I've made more than a year ago. So I do not prefer anything! I watch some tutorials and pictures, find something I think I will not screw up and try my hand at it... this is my way to go! 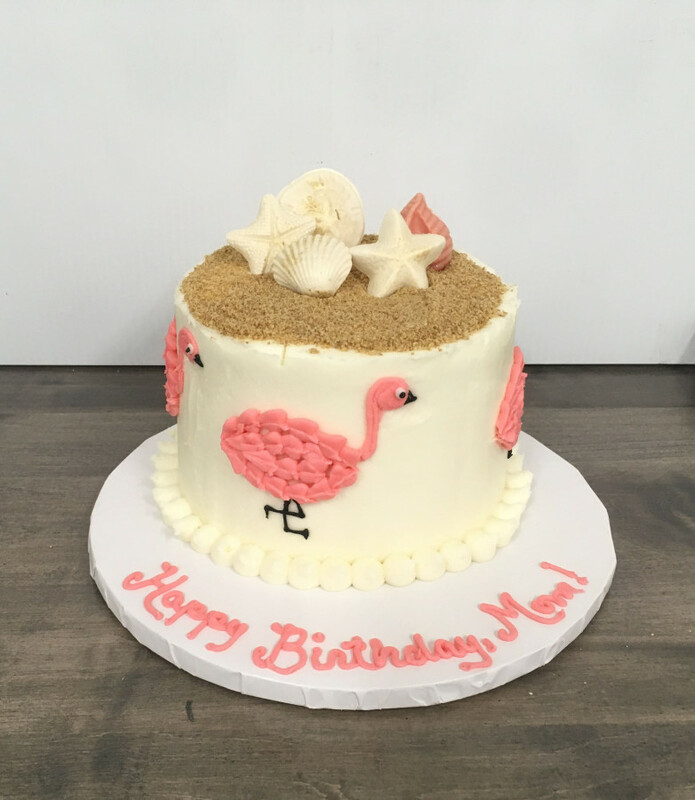 By the way your flamingo cake is just too sweet!